The idea was to analyze the Doppler from the head echoes and and see if something useful can be extracted from them. 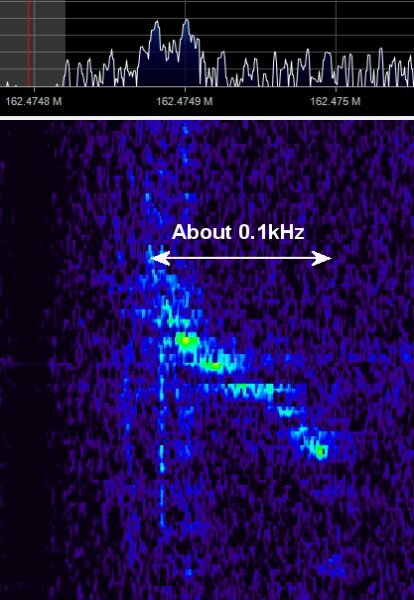 We detected a meteor from two distant locations and measured Doppler and Doppler slope at those locations. The we tried to find solutions to the meteor equation by brute force until we obtain a big number of them. Then we plotted those solutions in the sky and we see some of them pass near a known active radiant at the time of observation. Then, we checked the velocity of those solutions near the known radiant and found they are quite similar to the velocity of the known radiant, so we concluded probably they come from that radiant. But they can come from everywhere else in the sky along the solution lines! There is not guarantee these meteors to be Geminids, although probabilities are high. Once all the possible radiants of a meteor are plotted into the sky, there is no way to know who of all them was the real one. Doppler only measurement from two different places is not enough to determine a meteor radiant. But don’t forget with some meteors, suspect to come from a known shower, the possible results includes the right radiant at the known meteor velocity for that radiant, so there seems to be some solid base fundamentals in this experiment. Initially they ran into a little trouble with their sound cards, as it turns out that sound cards don’t exactly sample at their exact specified sample rate. After properly resampling their sound files they were able to create a stereo wav file (one receiver on the left channel, one receiver on the right channel) which showed that the doppler signature was different in each location. The video below shows this wav file. Using the information from their two separate recordings, they were able to do some doppler math, and determine a set of possible locations for the radiant of the meteors (it was not possible to pinpoint the exact location due to there being no inverse to the doppler equation). The radiant of a meteor shower is the point in the sky at which the meteors appear to be originating from. Although their solution couldn’t exactly pinpoint the location, some of the possible solutions from most meteors passed through the known radiant of the Geminids meteor shower. With more measurement locations the exact location could be pinpointed more accurately. Possible solutions for the radiant of several meteors detected during the Geminids meteor shower. 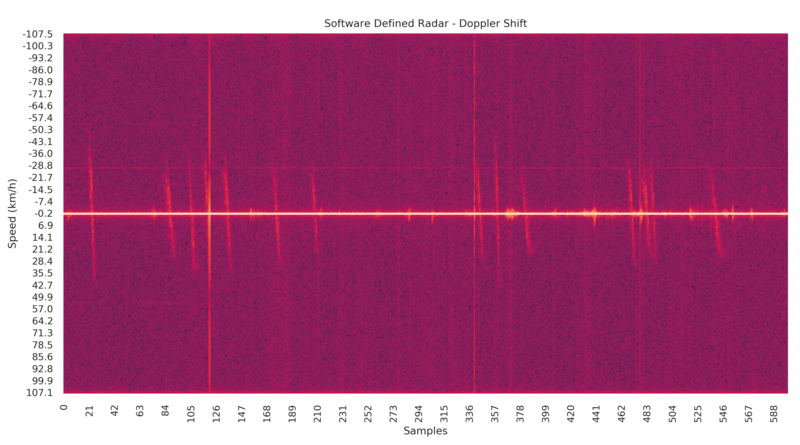 rtl_sdr receives raw IQ data from satellites which is then piped to “doppler” which corrects doppler offset. Zero centered baseband signal is piped to “demod” which outputs demodulated audio suitable for multimon-ng to do actual AX.25 packet decoding. 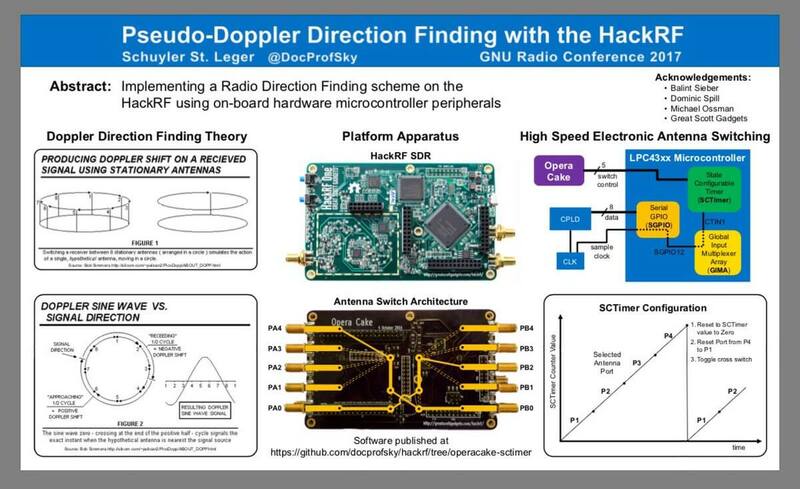 Such pipeline is intended for resource constrained embedded platforms like RaspberryPi or BeagleBoneBlack where running full blown SDR software would be too much. 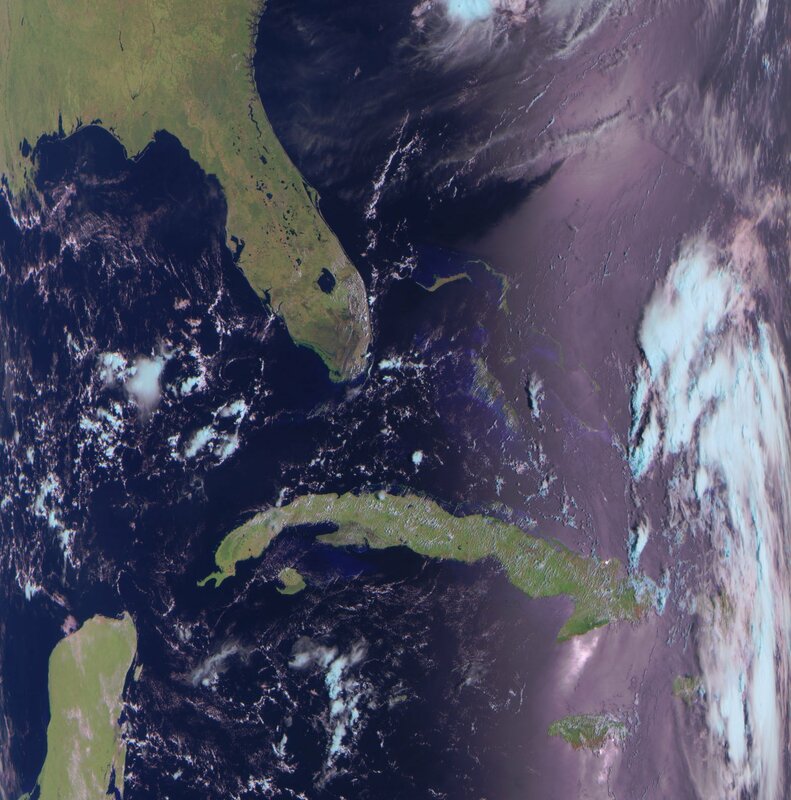 The doppler corrector tool works by using the same libraries for calculating satellite positions as those used in Gpredict and the demod tool uses the liquid-dsp library to demodulate the IQ stream. 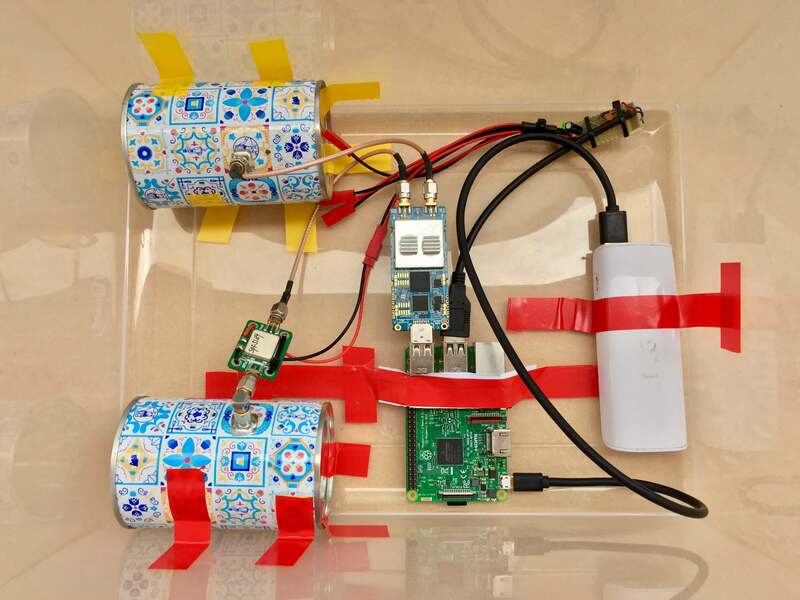 More information about Andres’ project can be found in these three blog posts that he has written. Andres also writes that he would be interested in hearing any feedback or pull requests on GitHub for these tools. 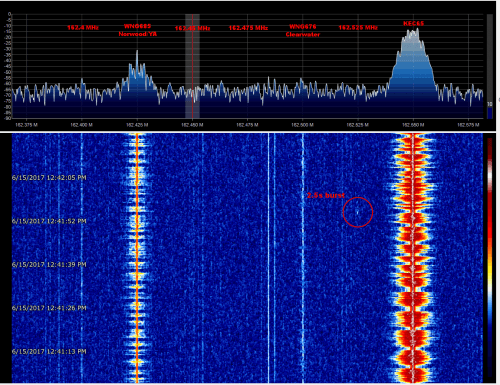 Over on his blog DE8MSH has uploaded a video showing a timelapse of some Doppler signal reflections he recorded. He shows more information about his Doppler recording setup on this previous post which shows that he was even able to get a Doppler reflection from the ISS using the French Graves radar. When an airplane or meteor reflects a signal from a strong transmitter such as an ATIS signal or the Graves radar in France, the received reflected signal frequency will change as the plane or meteor comes towards or away from your receiver. This is due to the Doppler effect. Its effect can be observed as the sloping lines shown in the video. To do the recording, DE8MSH used HDSDR together with spectrum lab and an RTL-SDR.